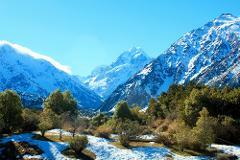 Visit the Aoraki / Mt Cook World Heritage National Park, Sir Edmund Hillary Alpine Centre, and the Tasman Glacier. 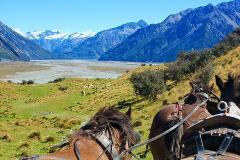 Breath-taking scenery including Lake Tekapo, Lake Pukaki, the Tasman Valley - even multiple sites from LOR "Middle Earth"! 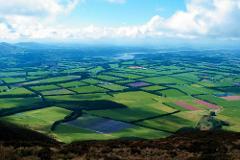 Enjoy the splendour of the rugged Banks Peninsula in the comfort of a luxury 4WD Mercedes mini-coach. 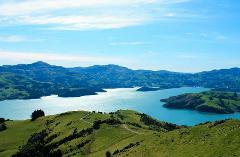 After visiting Okains Bay Museum, undertake a nature safari with local conservationists looking after a wild penguin colony near Akaroa.